Could this restorative prosthetic be exactly what you need to regain your smile? Facing tooth loss of any magnitude can be stressful, to say the least. We know that no adult ever expects tooth loss to happen to them. Here at Cape Vista Dental, our Orange City, FL, dentist, Dr. Andrew Yoon, know it’s possible to restore your smile and improve your appearance, no matter if you are missing one or all of your teeth. 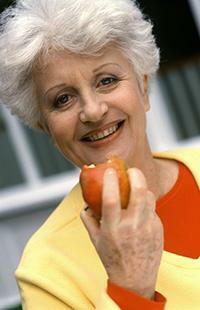 Are you wondering if dentures could get your smile back on track after tooth loss? Let’s find out! You are looking for an inexpensive way to replace missing teeth: Dental implants can be rather expensive and while they can be a wonderful way to replace missing teeth we know that not everyone can afford them. Our Orange City restorative dentist believes that you should be able to replace your missing teeth without breaking the bank. If you want to restore your smile but you also don’t want to spend tons of money to do it then dentures may be the right fit for you. You want to restore your smile quickly: We know that having gaps in your smile is anything but pleasant. Maybe you are ready to say goodbye to your incomplete smile and just get your new restoration quickly. Dental implants can take up to one year or more before you finally get your full replacement tooth. If you want your restoration sooner rather than later then you won’t get any more convenient than dentures. You don’t want to undergo surgery: Not everyone feels comfortable going through oral surgery in order to replace their missing teeth. While we ensure that you don’t feel discomfort during your procedure we also know that this more invasive treatment isn’t always ideal for everyone. If you want to replace your missing teeth but don’t want to have to go through surgery then you may want to consider dentures. Do you have questions about getting dentures in Orange City, FL? Want to find out if you are a good candidate for this oral prosthetic? Then it’s time you called Cape Vista Dental today to learn more.